Just out of college, Jenna Presley worked as an event coordinator for Sound-Off Productions in Michigan. On Thursday, March 18, Jenna went to pick up office supplies at the request of her boss, DJ Dan Sussman. When Jenna arrived at the office supply store, she weaved down the aisles of the parking lot searching for an open space – all the while talking to her best friend, Jill, with the cell phone on her left ear. Suddenly, without warning, an 83-year-old pedestrian, Charles Finley, stepped out from between two cars parked on the left side. Unfortunately, Jenna’s cell phone blocked her peripheral vision and she never saw him coming. The impact of Jenna’s car sent Charles flying right into the back of a parked van. He died instantly. As expected, Charles’s family sued Jenna and Sound-Off Productions. The claim went to trial in Lansing, Mich. – a liberal jurisdiction with a reputation for generous plaintiff’s awards. Sound-Off Productions’ owner, Dan Sussman, was under the impression that the claim would be paid by Jenna’s personal auto policy. But would it? Jenna’s personal auto liability policy did pay – up to its $15,000 liability limit. Although Jenna was insured, she’d only purchased an auto policy with the state-required minimum coverage of $15,000 per occurrence. Her policy did not cover the remainder of the $1.1 million awarded to the victim’s family. The judge held that Sound-Off Productions was also liable since Jenna was in the course of employment at the time of the incident. Dan was suddenly financially responsible for most of the judgment – and he wasn’t even there when the accident occurred! Sadly, Dan did not have business liability insurance. Dan lost his assets including his business equipment, home, savings and vehicles. With the flip of a cell phone, he lost everything he’d worked so hard to attain. What can you do to avoid a pricey predicament like this? Protect your business with a policy tailored for DJs that includes non-owned auto liability coverage for employees driving on your behalf. 1. 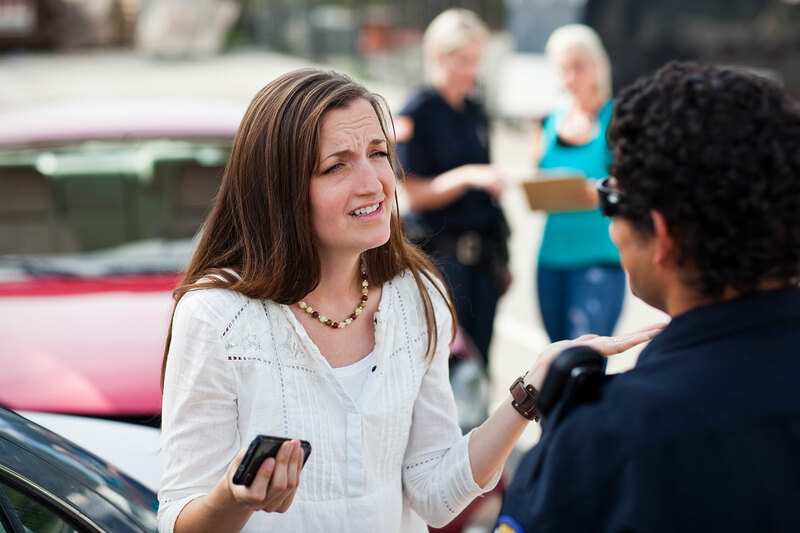 Require proof of auto liability insurance from all of your employees. The higher the liability limit, the better! For optimal protection, employees should also have a $1 million personal umbrella. 2. Consider driving records when you hire and promote. You don’t want workers with poor records driving for you and placing your business at risk. 3. Implement a strict procedure that prohibits cell phone use while driving within the scope of employment. The DJ/KJ/VJ insurance program provides everything you need in one convenient place: Property/Equipment, General Liability and Employee Crime insurance. The General Liability includes non-owned auto liability coverage, so you’re protected when employees are driving on your behalf. Underwritten by Fireman’s Fund, one of the largest, most respected carriers in the country, this tailored coverage package provides specialized “A” rated protection. Endorsed by the American Disc Jockey Association, R.V. Nuccio and Associates is the only online nationwide insurance source for DJs, offering the most customized protection at the most competitive rates.